A Westcountry based family business established since 1877. Apart from their shop in Exeter they have mobile units that attend shows, horse races,point to point meetings and local livestock markets. They carry an extensive range of country clothing, saddlery, riding wear and footwear. An older and non-responsive website was starting to adversely affect sales. An all new site was therefore required. 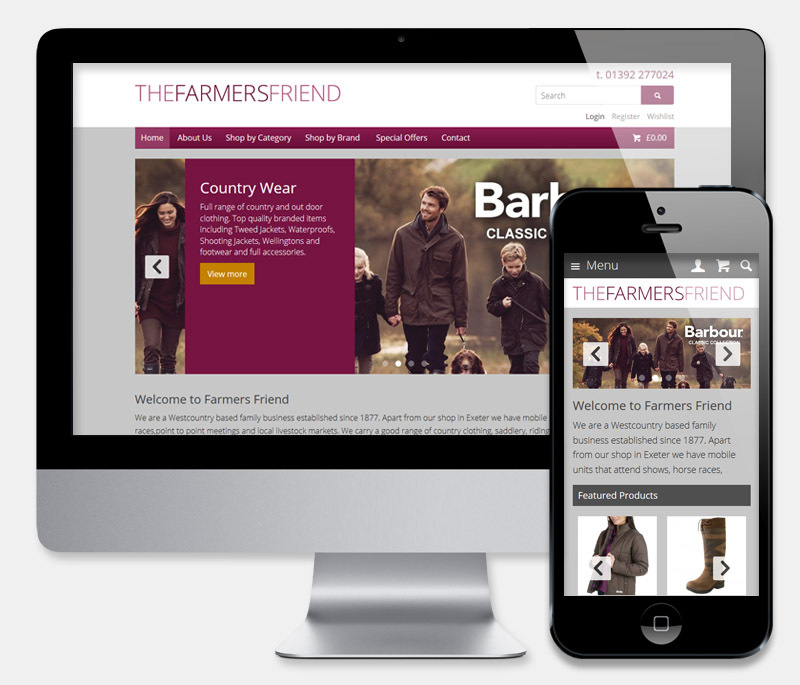 The new e-commerce website was designed to be clear, concise and easy-to-use. Fresh design and logo,using a contempory 'flat design' approach, ensures a professional appearance. The responsive layout and simple to use management tools, allows the client to update the site and ensire that all products, images and offers and kept up to date.